Oh no, he’s done it again…called to the Principal’s office! My dear nephew, Johanan, an impish guy is inside the Principal’s office again. My sis-in-law just told me. He was found washing the toilet enthuiastically with his classmate and missing in action for a whole 2 hours. This same nephew, has been making news since he was two. He is now in Primary 3. He is an interesting intelligent fella who does not seem to take well to current school structures. I must say his teachers and school have been very kind to him despite all his antics. He is in ACS Primary and my brother’s alma mater. Let me share some of his “adventures”. When he was 2 years old, he started walking outside the gate of his flat and towards an open lift. He walked into the lift and press a button. The lift took him to another floor and thankfully, a neighbour saw this cute little boy in his huggies and brought him back to his home. When he was 6 while having a dinner at seafood restaurant, he was happily dashing about and got more than a bump. Unlike his older brother who is a careful guy, this little fella bumped his head right into a concrete floor and blood gushed out. He was rushed to the nearby A & E clinic at KK Children’s hospital Thankfully the blood stopped and he recovered. In Primary one, he looked forward to school. However within 6 months he was feeling so stressed that he did not eat or sleep well. He lost a lot of weight. Where once he looked forward to school, he now tried to avoid it. He could never finish his homework and so had to stay in during recess to do. He is a very active and restless child. I jokingly remarked to my sis-in-law he is in his school’s rugby team because once he had the ball he cannot let go. He has this incredible ability to hold the ball so tightly that no one can take it away! The stories he generated make us laugh. He is full of tricks and always eager to try new things. Take risk. Do the unconventional. Challenge the norm. 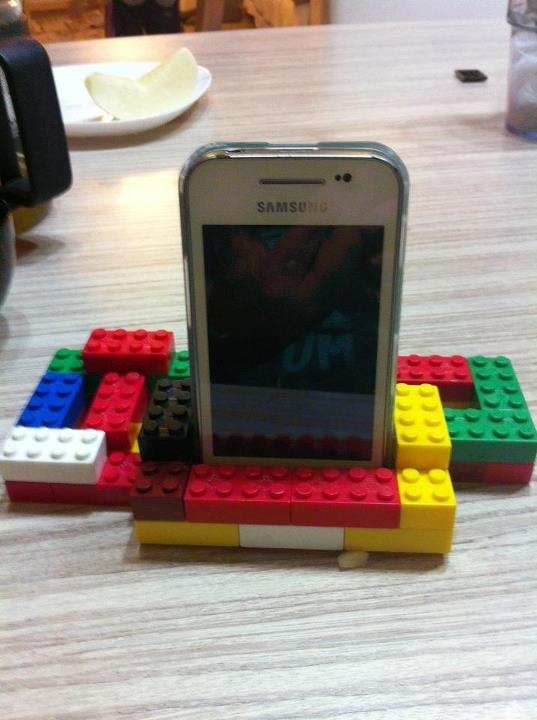 Recently he just built a home for his iphone using lego. His older brother, Amadeus worries for him. He is worried that Johanan is not able to finish school. My sis-in-law is worried too. She wants her son to grow up well. Both my brother and her did not do well in school. My bro is doing very well now, being the GM of a F&B chain. Yet what is the challenge ahead for Johanand? So is he the ill-disciplined brat that cannot obey rules? I really do not think so. I have interacted with him and he is highly intelligent. He is very motivated by end results. Especially if it involves earning money. He is what I will term in my Yong Tau Foo team© as a Chilli child. Always out to challenge the system. Always willing to challenge the norm. And he cannot sit still. 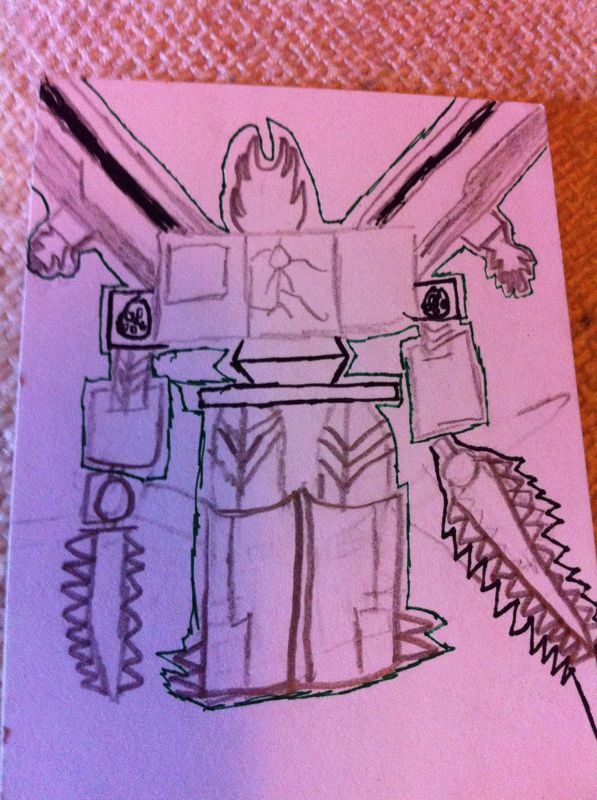 He is also good with his art and creates his own cards. In fact, his artistic talent has not just earned him fans but some good pocket money as friends and neighbours are willing to pay for them! IMHO, perhaps we can have a semblance of it in our Singapore classroom. We can start a class for these active boys who cannot sit still by using authentic project work to engage them. The learning can take place by asking these boys to ask questions about what works and what does not. So if Johanan and company likes to clean the toilet, they can start by understanding what chemicals go into making the toilet smelly, what makes them smell good and what are some ways the students can make going to the toilet a better experience. They can even start to charge a small amount for keeping this toilet clean. Test the market to see if other students like their toilet. If the idea flops, why does it flop? Perhaps we can set have a classroom where these active boys are taught by experienced teachers who are good at handling students who are restless. These could be retired teachers. These could be teachers who think differently. Or teachers who themselves were like that when they were younger. Nowadays I have my meetings at coffee houses, club houses or even shopping centres. I enjoy pioneering work and exploring new grounds. Perhaps Johanan being restless is a family trait. My sis-in-law says she was like that as a child. But she worries now for Johanan as she wants him to have a minimum education. I guess the challenge in the 21st Century education is how to use technology to help these children. Besides administering drug after drug to calm them down, what is more important is how to harness this restless energy and make something positive out of it. Sir Ken Robinson in his now famous video on “School kills creativity” talks about how kids who were restless were easily labelled with ADHD in the USA. Another friend of mine, C, who is heading a primary school told me that there is a rise in the number of boys who cannot sit still in P1 and P2. How we can help these active children when they enter P1 and P2? Is there a place for “unschooling” and “flipping” in our classroom? Can we adopt some of these approaches in our P1 and P2 classroom? How can we help these active boys? Previous Post Unschooling – Is that part of our 21st century toolkit?